James Tyler Guitars, established in 1972 and based in California, is a manufacturer of boutique electric guitars. The company is known for creating instruments “flawless in design and construction” with an easily recognisable yet somewhat controversial headstock and creative guitar body finishes with names like “psychedelic vomit”, “burning water” and “caramel cappuccino shmear”. 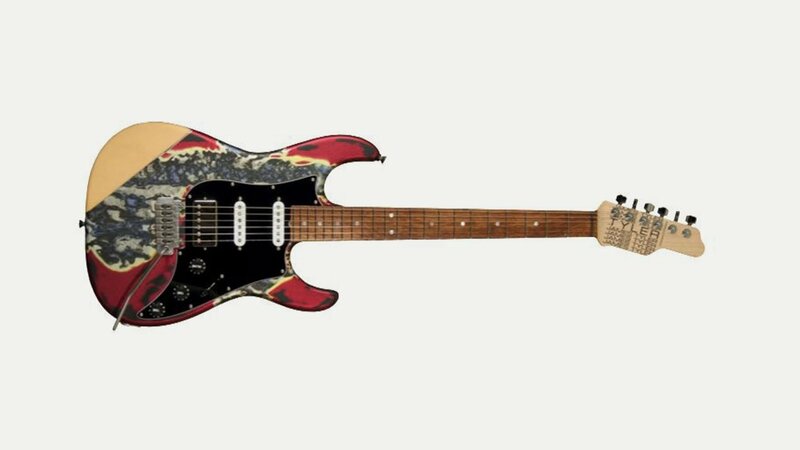 During the 1980s the company did primarily repairs and modifications of guitars but built some custom guitars; over the next three decades they produced a collection of stunningly creative guitars and basses, with outrageous finishes, lauded pickups and a steadily growing roster of loyal artists. The most ambitious instrument though is the James Tyler Variax released in 2010. Partnering with Line 6 gave Tyler the opportunity to push guitar design into uncharted territory. Today, their guitars are made both in the US and in Japan.